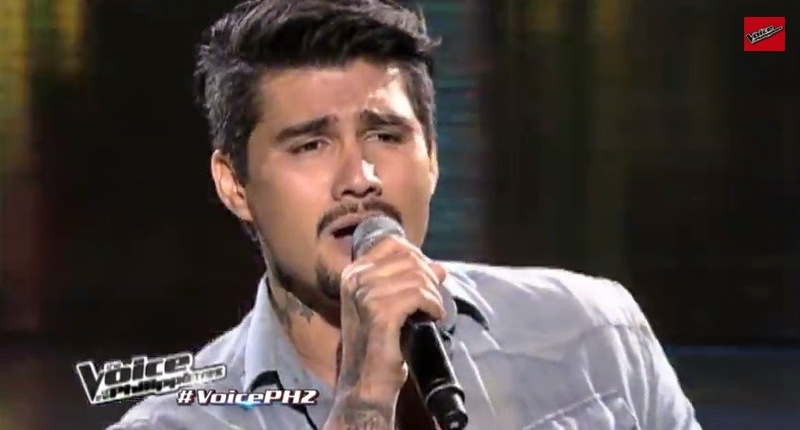 Manila, Philippines - Bradley Holmes performed The Doobie Brothers hit "Long Train Running" (Without Love) during the continuation of Blind Auditions of ABS-CBN's best vocal competition 'The Voice of the Philippines Season 2 aired on Sunday, November 2, 2014. The 31-year old family man from Quezon City who wants to start his life anew wowed Coach Sarah Geronimo, Apl.de.ap and Lea Salonga. Homes chose Team Apl. As of the November 2 episode, 9 artists have already convinced with at least one coach to turn around. At the end of the Blind auditions, each team will have 14 artists. The Top 56 artists will be named which include stolen artists for each team.